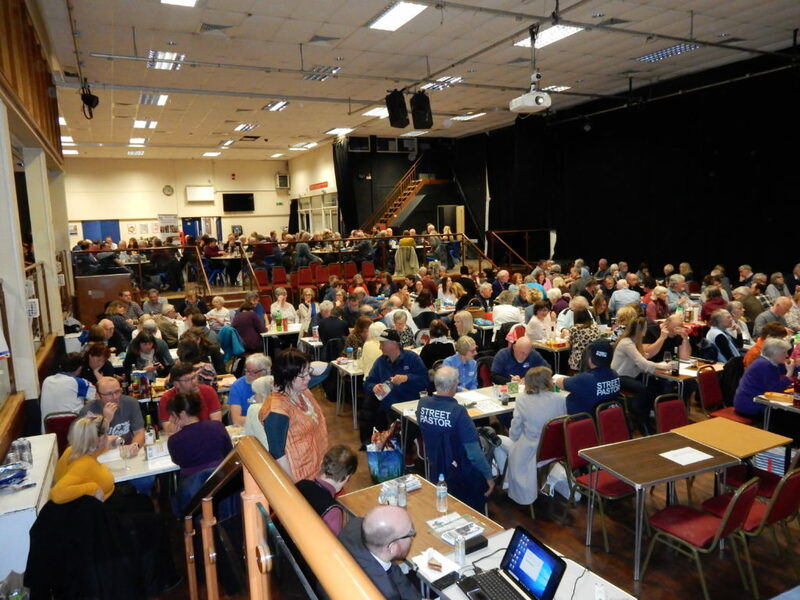 Hastings Sierra Leone Friendship Link > Events > Big Quiz Night – It’s all over! An other highly enjoyable quiz this year. 38 teams cudgelled their brains for 3 hours, with The Searchers scraping home as winners by 1 point. There were lots of high scores on most rounds, so it seems to have been a bit easier this year. In his inimitable style, Michael Foster auctioned a ghetto-blaster (donated by Asif Khan) and £250-worth of flooring donated (yet again!) by Dain Jensen and Kiley’s Karpets. 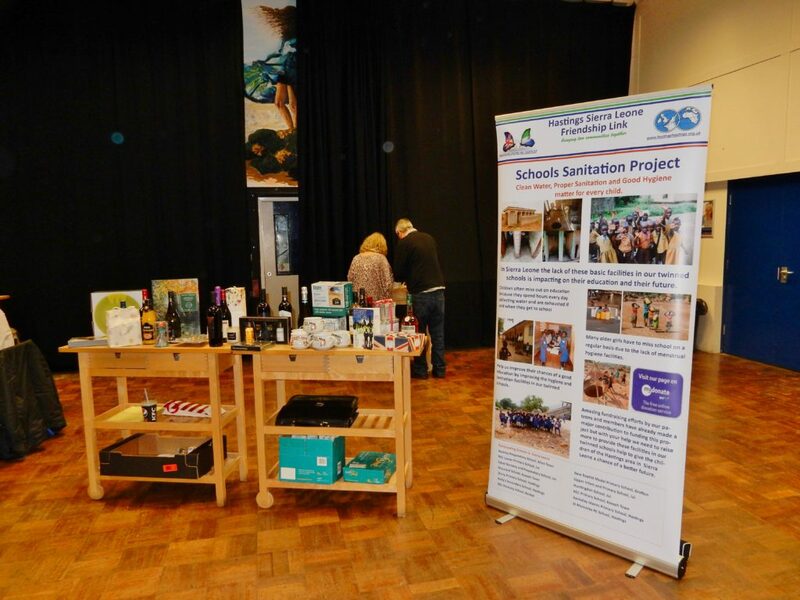 If we include the orange quiz sheets, the two events together raised over £2500 towards our new project to improve the sanitration in the partner schools. Our thanks also go to Marshall Tufflex (who sponsored the prizes); to Ark William Parker who allow us to hire the hall; and to the young School Lettings Solutions team who handled the furniture and the clearing up. 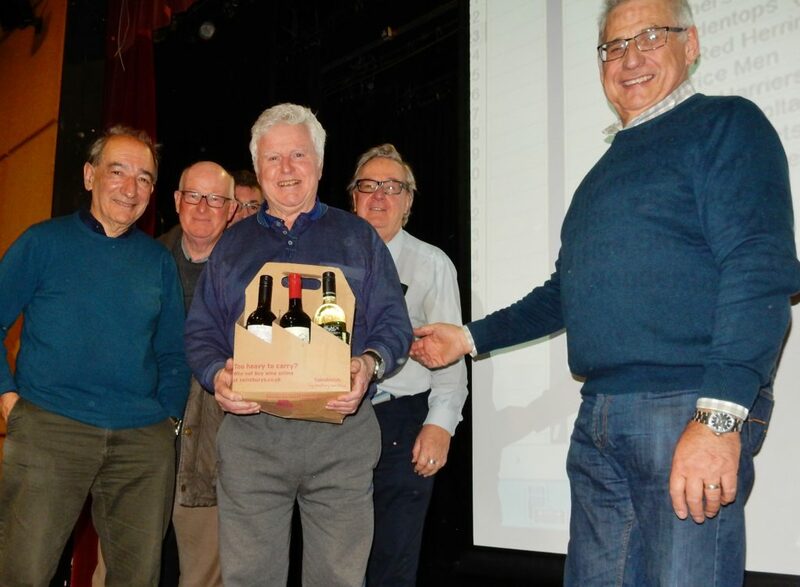 Plus, of course, Richard our genial Questionmaster and Jim and Derek on the scoreboard; those who donated raffle prizes; and the Link members who sold the tables, folded zillions of raffle tickets or weaved their way up and down the hall collecting the answer-sheets. If you like quizzes, our music quiz is on Friday 20th September at St Paul’s School. Last week’s photos courtesy of Derek.